Mangaluru: Nitte (Deemed to be) University’s Nitte Film Society has partnered with the Swiss Embassy in India to organise a special screening of Oscar-nominated animation film Ma Vie de Courgette (My Life as a Zucchini) on April 10 at 7:30 p.m.
As part of celebrations to mark 70 years of Swiss-India, the Embassy has designed a special screening bus to travel across different cities in India. 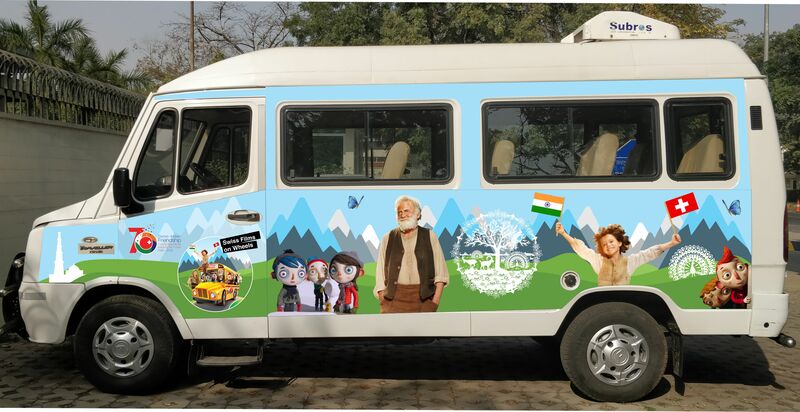 Now in Mangaluru, the bus will facilitate an open-air screening of the movie, a French-language children’s film, at the K S Hegde Medical Academy Grounds in Deralakatte. The screening will be followed by an interactive session with the audience and Swiss Embassy staff. The international collaboration is a pre-event to Nitte International Film Festival (NIFF), to be held from April 16-19. NIFF is a four-day film festival organised by students of Nitte Institute of Communication, aiming to make critically acclaimed cinema from across the world accessible to audiences in Mangaluru. For details please contact: Prof Raviraj at 70224 94 202 or Melvin at 91104 41563.